Seven Dedicated Lives is a collection of seven biographical essays, giving us a glimpse into the early years of the Sri Aurobindo Ashram. The disciples whose portraits we see here joined the spiritual community in the 1930s and 1940s and actively participated in its growth. 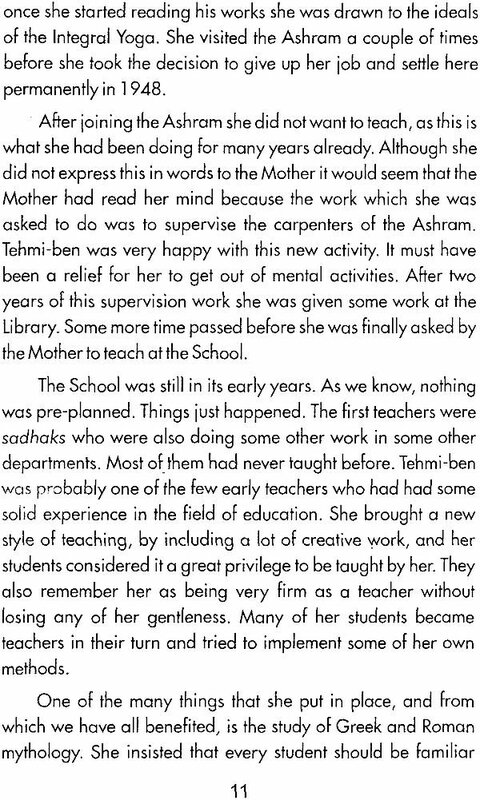 Their stories, the inner attitude with which they served the Mother and Sri Aurobindo, can inspire all those who want to lead a life of consecration even today. 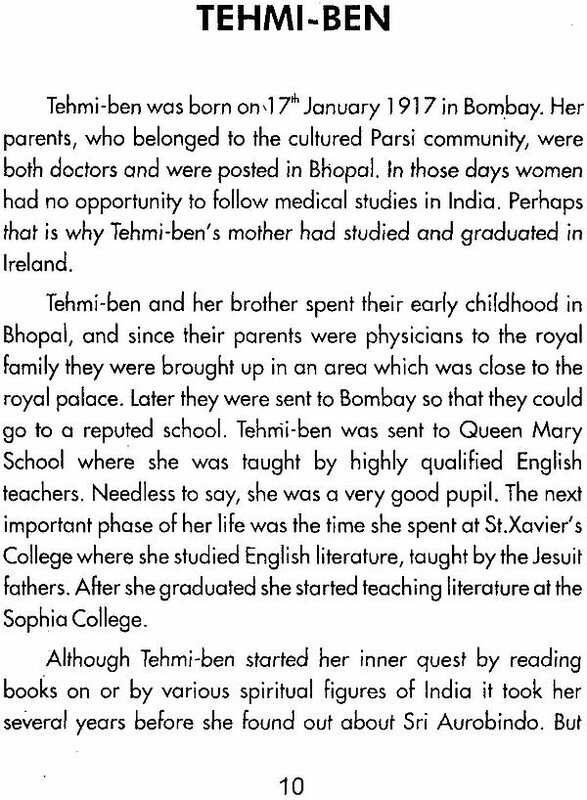 Sunayana Panda grew up in the Sri Aurobindo Ashram, having come in December 1966, and was a student of the Sri Aurobindo International Centre of Education. She holds a M.A. in English Literature and has been in the field of education for more than 20 years. 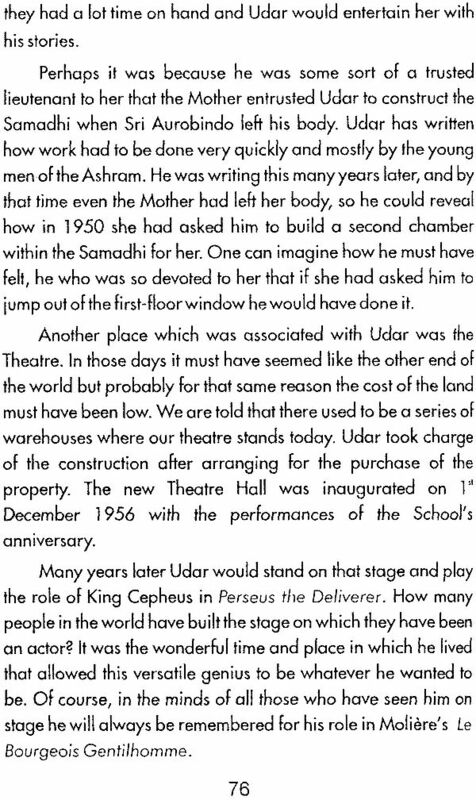 She has put up several of Sri Aurobindo's poetical works on stage and contributes regularly to various Ashram journals. 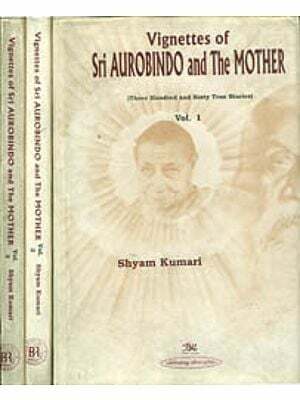 Sri Aurobindo and the Mother are like two radiant suns and the light that shines out from their writings and their work is so brilliant that we can not look at them with our naked eyes. It becomes much easier to understand them when we look at their image reflected in the lives of those who were close to them and who followed their path. The seven biographical essays included in this collection can give the reader an idea of the way Sri Aurobindo and the Mother worked to create a very special world around them and how they manifested the inner truth in the outer world. These sadhaks and sadhikas, most of whom I knew personally, were a part of that world and were actively involved in the day to day running of the Ashram. Not only did they live in close proximity to Sri Aurobindo and the Mother but they also lived lives which were inwardly consecrated to them. None of them are alive today but their memory lives on. We can draw inspiration from them as we try to follow the path of the Integral Yoga. These essays were first published in The Golden Chain, the alumni magazine of the Sri Aurobindo International Centre of Education. Some of them have been slightly edited for this collection. 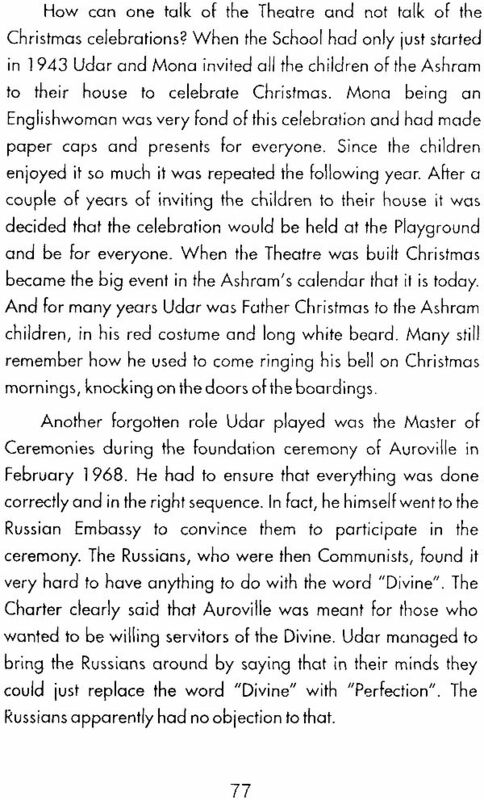 I have included an essay about why Christmas is celebrated in the Ashram because the organisation of this event was an important activity in the life of Mona Pinto. This book seems to be a good place to present this story and in this way give some answers to the questions which may come to people's minds. For all my information I have consulted published sources or spoken to those who knew the subjects well. I would like to thank my husband, Giles Herdman, for the cover design and for all his support.